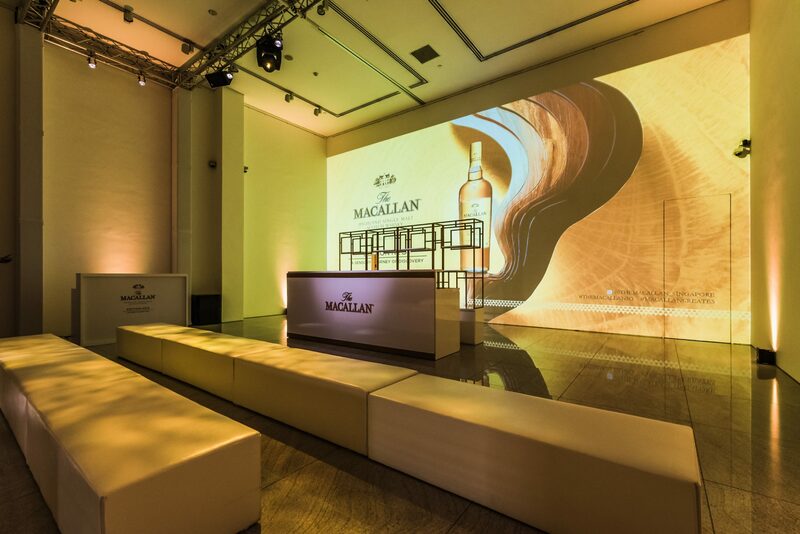 The third instalment of The Macallan’s Edition series recently launched in Singapore. Co-created by The Macallan Master Whisky Maker, Bob Dalgarno, and Master Perfumer, Roja Dove, the Edition No. 3 promised to be a whisky unlike any other, and it delivered. While we’ve covered the nuances of the whisky and its production process in our interview with Dove, the event itself was another stunning feat to be applauded. The Luxe Museum was redesigned to highlight each prominent note from the Edition No. 3. Entering the space surrounded you with whiffs of delicate flowers from the wall-to-wall arrangements, which segued to wood in a room that celebrate oak. Following that was a room with dried citrus cascading down the ceiling, before ending at an intimate, white living room, where sensual vanilla and chocolate aromas coated the air. Dove himself was in Singapore to present the whisky to invited guests and regional media. Notable guests like actress Fiona Xie, actor James Seah and radio DJ Sonia Chew were there to give The Macallan Edition No. 3 their stamp of approval too. Watch the video above for a look at the night, and to see what the guests thought of the whisky.